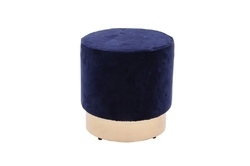 Our product range includes a wide range of velvet iron leg furniture stool, yellow rug upholstered ottoman stool for room decor, round shape wooden stool, knitted black wooden round stool, wooden plain rug upholstered bar stool and woven rug upholstered designer bench. 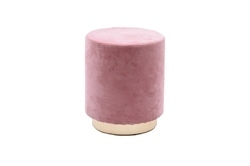 this is cotton velvet fabric upholstery stool with metal iron ring leg. 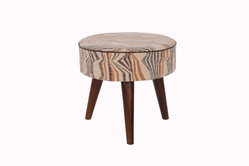 this multi color rug upholstery stool will give your room decor an eye catching look. 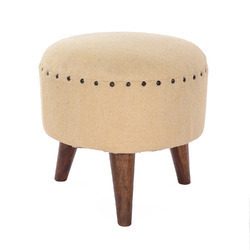 This stunning wooden stool is upholstered with cotton rug. Its colors, design, shape, the elegant lines, the carved detail make it a beautiful piece for any room. Note: Size and color can be customized. 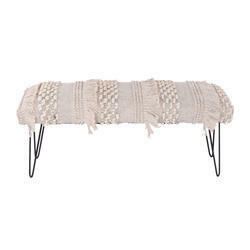 Elegant and classic, this bench features rug upholstery and metal legs. 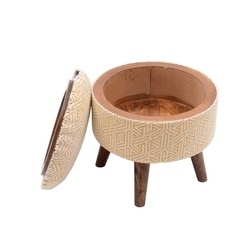 It is sure to be a stunning accent piece no matter which corner of the home you place it in. 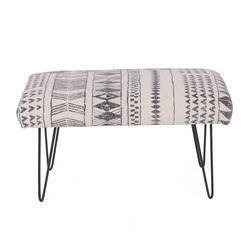 Sit in style with this lovely bench, which will look perfect in any room. 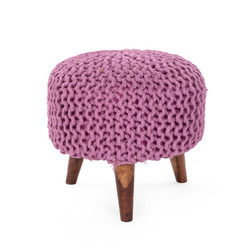 It can be placed at the end of your bed or in the living room to accent your decor. 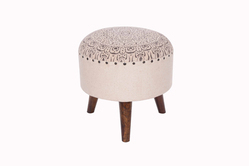 cotton rug upholstery stool for living room decoration. 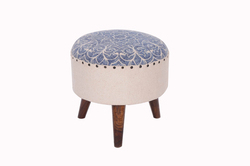 this wooden stool storage upholstered by cotton printed indigo rug. 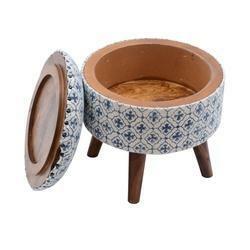 Grace your home with this round wooden stool. 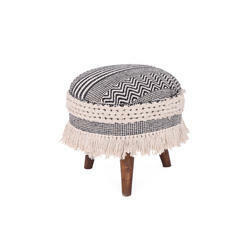 The seat is covered with a nicely textured printed cotton rug. It will definitely be admired and complemented by everyone. 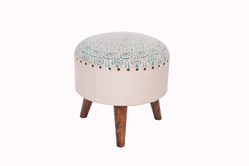 This round wooden stool is the perfect update for your living room, bed room or kid’s room. 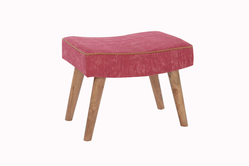 It offers an easy seat to anyone who sits atop it making it a desirable piece of furniture. 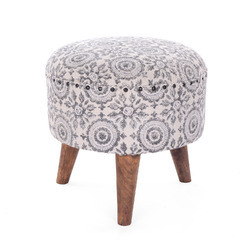 This printed rug upholstered round wooden stool is a unique decor item for your living space. 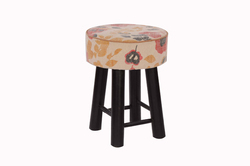 This stool has an upholstered cushioned seating surface for comfortable sitting and relaxation. 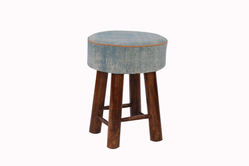 This round wooden stool is a stylish seating option for any room in your home. 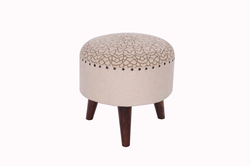 It has a plush seat that is upholstered in cotton rug can adding function and pattern to your space. 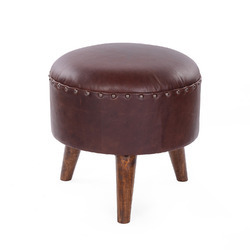 This deeply cushioned, superbly comfortable Round stool Ottoman features a classic profile that allows it to work well both as a footrest and as extra seating in smaller spaces. 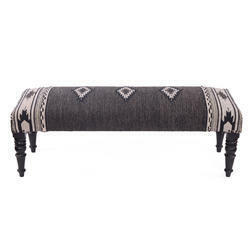 Bring home sophistication with the Upholstered Bench. This beautiful bench has a comforting design that helps you to relax while you rest on it. 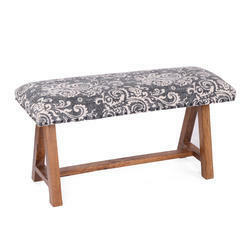 This upholstered wood bench has a simple style that blends with most decors. It is beautiful and functional, which makes it a great addition for any home. 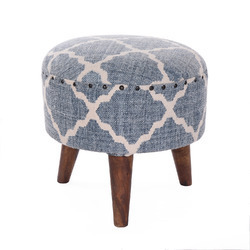 This metal stool has graceful design and upholstered with rug that makes it appealing to the eye and comfortable addition to your home. 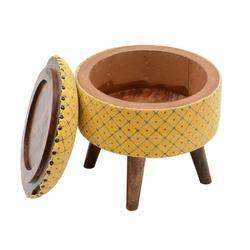 Find out this multicolor sheesham wood and rug made small foot stool. It is more comfortable and value than ever and use for multi purpose. 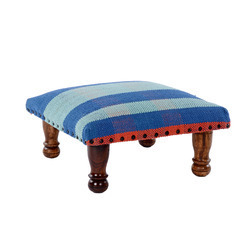 Find this luxury Sheesham wood and rug made small footstool. This can be use for multipurpose. 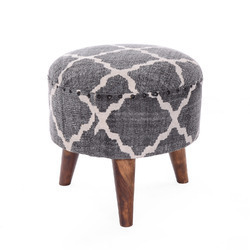 Product Size Lxwxh Inches 16" x 16" x 16"
Place this contemporary round upholstered stool anywhere around your home as it will blend in beautifully with any decor. 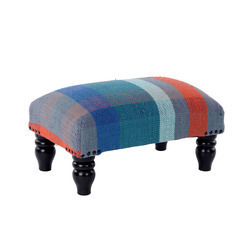 Use it as an extra seating option when you have many people at home. 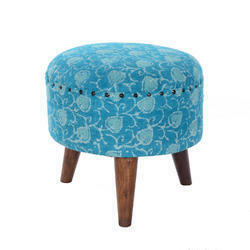 This prined rug upholsterd round wooden stool is unique furniture style to transform the look of your home. It will attract its onlookers with its simple yet elegant style. 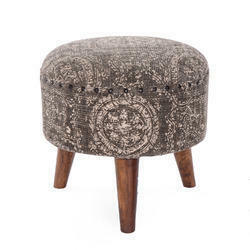 The printed rug upholstered round stool features a unique style that have fresh modern design. 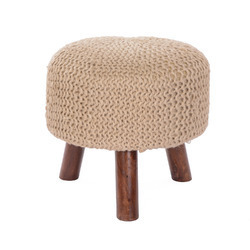 This stool is the perfect way to reduce space chaos and enjoy a relaxing sit. 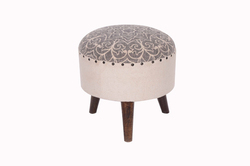 This lovely upholstered round Stool will blend in beautifully with the decor of any home. 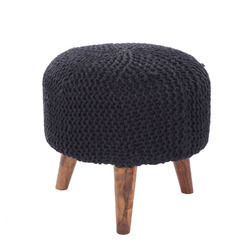 Its simplistic structure is something that makes it an absolute must have for any home. 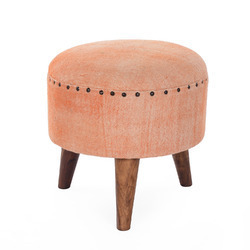 This round stool offers a comfortable seat for anyone who sits atop it. You can place it in a corner when it is not in use and it can also be treated as an extra seating option when you have many people at home. This metal bench adds character to your home with it's color combination. Its beautiful looks will add a touch of elegance to any ambiance. 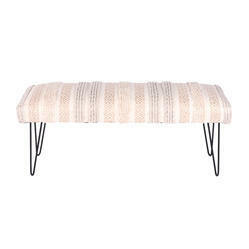 This upholstered bench is a balance of warmth and elegance. It is a classic addition to the end of the bed, entry, hall or under a large window. Note: Size and color can customized. 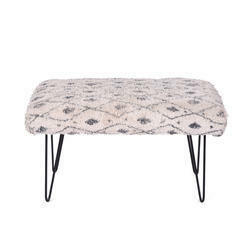 Product Size Lxwxh Inches 32" x 16" x 18"
This upholstered metal bench is a beautiful inclusion for any home. It has an upholstered seat that provides you with exceptional comfort when you rest on it. Add comfort to your lifestyle with this upholstered wooden bench.You can display it wherever you want, be it the living room, bedroom, kitchen, or balcony. 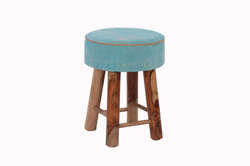 This simply designed but impressive looking stool is sure to win your heart. 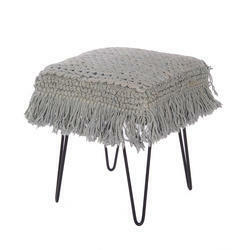 Its legs also complement its overall structure making it a must have piece of furniture for any home. 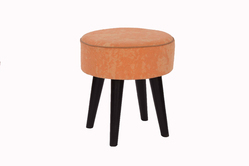 This rug upholstered stool comes with stroage space.